Tottenham was first recorded in the “Domesday Book” of 1086, as Toteham, from the Old English personal name “Totta”, and “ham”, meaning home-stead. It is likely to have been in existence considerably earlier. Two particular buildings are featured below – Bruce Castle and All Hallows Tottenham. Bruce Castle was originally built as a manor house in the thirteenth century by the de Brus or Bruce family. When Robert the Bruce seized the Scottish throne in the early fourteenth century, his family’s manor and house in England was confiscated by the English King, Edward II, who leased it to various officers of his household. In the early sixteenth, it came to be owned, and to be rebuilt, by Sir William Compton, and temporarily to be referred to as “Maister Comton’s House by Totnam”. Henry VIII visited the house in 1516, with his sister Margaret, the wife of the Scottish King James IV (who had been exiled to England to following the death of her husband at the Battle of Flodden Field in 1513). Elizabeth I visited the house, by then owned by Henry, Lord Compton, in 1578. 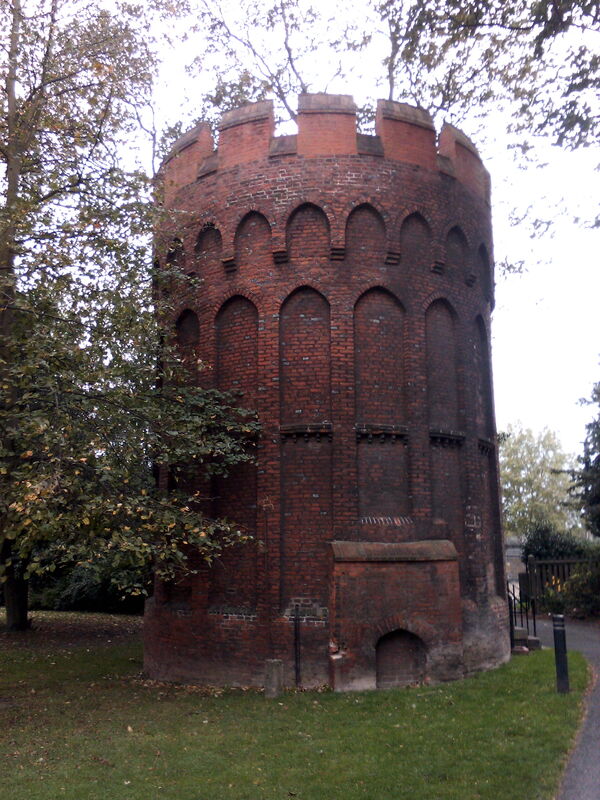 Later in the Elizabethan era, in 1593, it was used as a refuge from the plague. 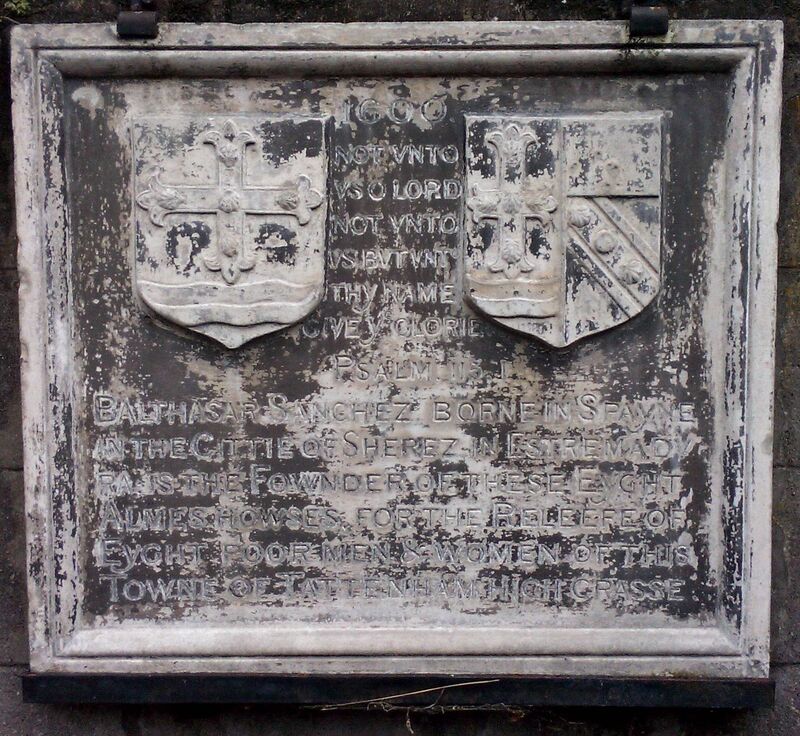 In 1648, in the Civil War, it was removed from the then owner, Hugh Hare, Lord Coleraine, and used by Parliamentarian officers; and in 1682, after the Restoration of the Monarchy, returned to the ownership of the then Lord Coleraine, Henry Hare. It was then rebuilt again between 1682-6, and extended in 1708-40 and again in 1763-80 (one of these later extensions, the west wing, was demolished in 1813). It became a school in 1827, a museum between 1906-16, a hostel for war refugees in 1916-8, and a museum again from 1927 to the present time (although temporarily closed for repairs between 1957-69). 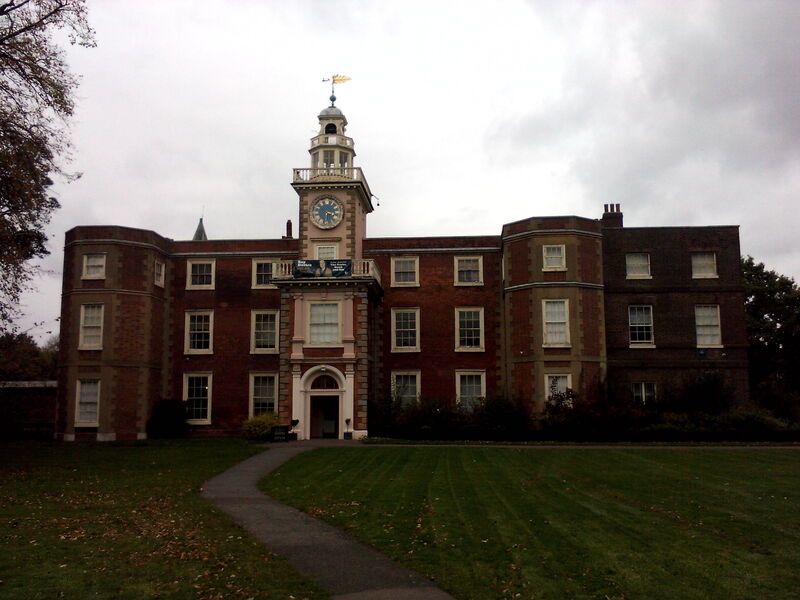 It has been owned by the London Borough of Haringey since 1965. 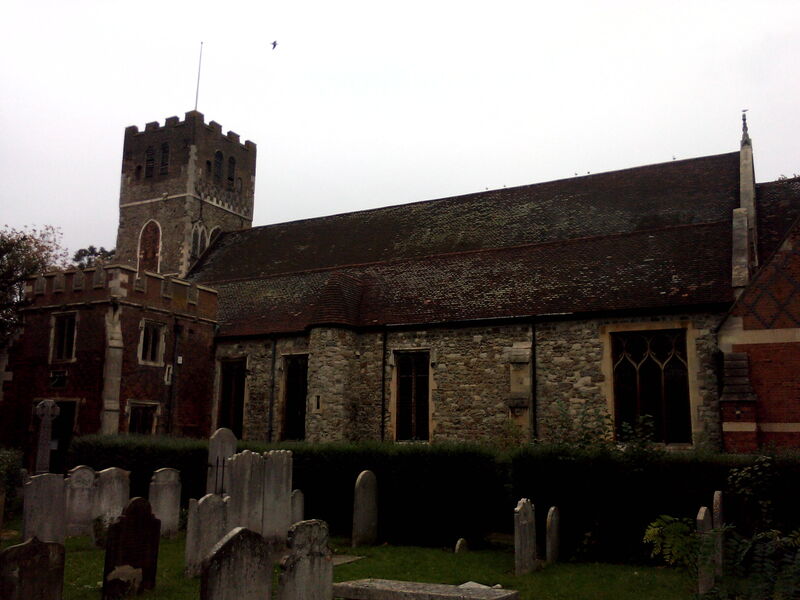 The church of All Hallows was originally built in the fifteenth century, and extended in the nineteenth, around 1875, by William Butterfield. It is noted for its stained glass. 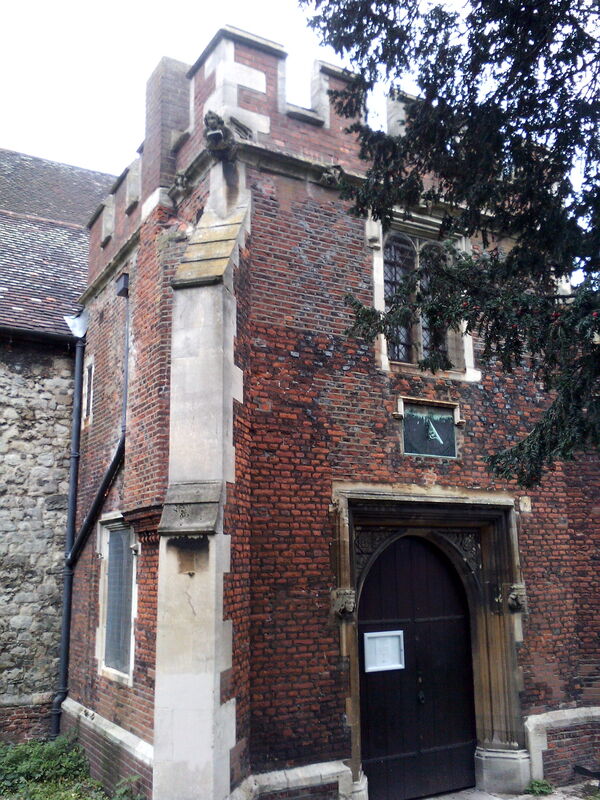 This entry was posted in 13th Century London, 15th century London, Far flung London and tagged All Hallows Tottenham, Bruce Castle on April 1, 2015 by Bob Jones - The Lost City of London. How very many owners for basically one piece of property. Thanks for the interesting info.